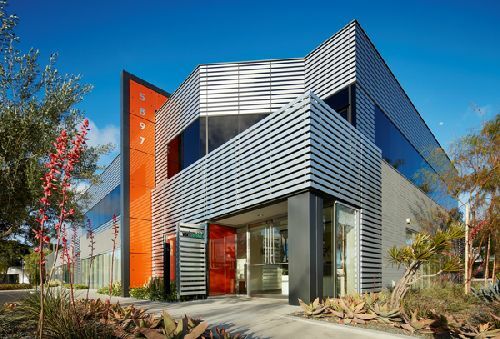 Crown Realty & Development paid $20.4 mil for The Oberlin, a three-building, 62.4k sf creative office campus in San Diego. The complex, located at 5889, 5893 and 5987 Oberlin Drive in the Sorrento Mesa area, was sold by Bixby Land Company. The Oberlin is located just minutes from Interstates 805 and 5, providing immediate access to neighborhood communities. The property underwent a $6.9 mil renovation in 2016 and features maximum tenant flexibility and integration between indoor and outdoor spaces with fully furnished patios. Bob Prendergast, Lynn LaChapelle, Sach Kirpalani and John Morrison with JLL represented the seller in the deal. Crown Realty & Development Inc, and its affiliate CPF Oberlin Associates LLC, was repped by an in-house team made up of Kreg Groat, Ann Vera, Mike Vaughan, Sr. and Nikkie Marion. "Sorrento Mesa remains one of San Diego’s most desirable office markets due to its central location, strong tenant base and its focus on technology," said Prendergast. "The Oberlin provided Crown Realty & Development with the opportunity to acquire a modernized and fully repositioned property in a premier location with strong upside potential and an opportunity for stabilization."